Phil Hanson is already looking forward to making a speedy return to the IMSA WeatherTech SportsCar Championship in March after experiencing heartache on his Rolex 24 At Daytona début this weekend (27-28 Jan). The 2016-17 Asian Le Mans Series LMP3 champion, competing in his first race for the Anglo-American United Autosports team, plus fellow 18-year-old Lando Norris and double former F1 World Champion Fernando Alonso, recorded an unrepresentative 13th in class in their United Autosports Ligier JS P217 sports-prototype in the twice-around-the-clock event in Florida. The trio clocked-up 718-laps, over 2,500-miles, having looked set for a top-five if not a rostrum finish before delays caused by minor but time-consuming problems. 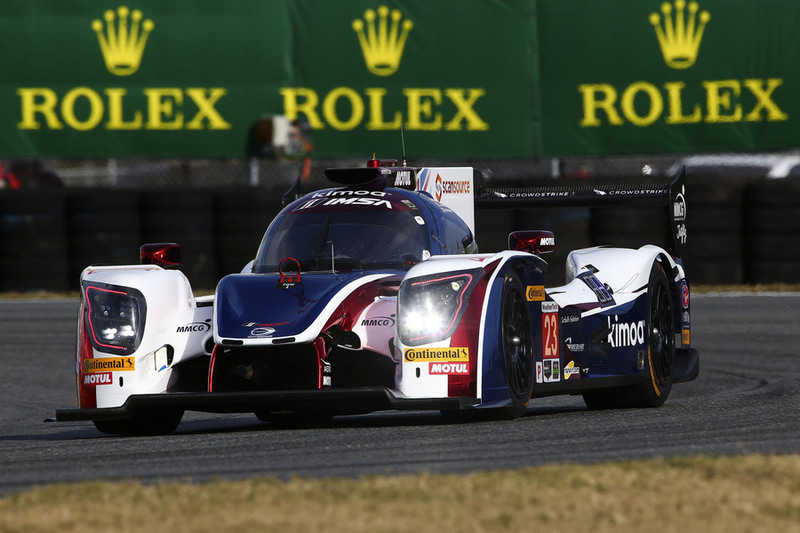 But Phil, who drove for a total of almost six hours in four separate stints around the demanding 3.6-mile Daytona International Speedway, will now compete in the three remaining Tequila Patron North American Endurance Cup events in addition to his already announced six-race ELMS and Le Mans 24 Hour race programme with United. Indeed, Hanson returns to Florida for the Sebring 12 Hours (17 Mar) before his European campaign gets underway at Paul Ricard (F) in April. The other two prestigious U.S. races are at Watkins Glen (1 Jul) then the Petit Le Mans (13 Oct). As early as hour four Phil’s Ligier was placed second and remained in the top-six until one-third distance. Hanson took over from the starting Alonso two hours into the race yesterday afternoon and was back in the Ligier just gone 9pm. But just after 10pm last night, his #23 Ligier suffered a right, rear puncture and after a pit-stop for new bodywork, Alonso resuming 11th but over three laps down on the leader. The former double F1 world champion had recovered to sixth but at 1am suffered a brake problem necessitating a 40mins stop for repairs. Phil impressed with another spell of night driving from 4am but later this morning, a further 10mins were lost due to a throttle sensor issue, before Hanson jumped back into the Ligier just after 10am this morning prior to the Ligier suffering further braking issues. Hanson can count himself unlucky not to have registered a podium result on his United and Rolex 24 début. It’s been great to start my racing year off at such a prestigious event. The racing has been fantastic. It’s a short track compared to somewhere like Le Mans which means you’re kept busy behind the wheel all of the time lapping traffic. A 24 hour race is a tough event so to start 2018 off with one it gives me a good taster for Le Mans and the other longer distance races I’ll now be doing this year. I’m really excited to be racing in the U.S. as well as Europe this season. The atmosphere at Daytona has been incredible and I’ve been told that Sebring, Watkins Glen and Petit are all very challenging tracks and also attract big crowds so it should be really good fun. With seven races in Europe and now four in the U.S. combined with testing, 2018 has suddenly become very busy for me but I’m so looking forward to the next nine months.